Add some sparkle with this stunning set of battery powered holly leaf fairy lights with metallic black and red threads. 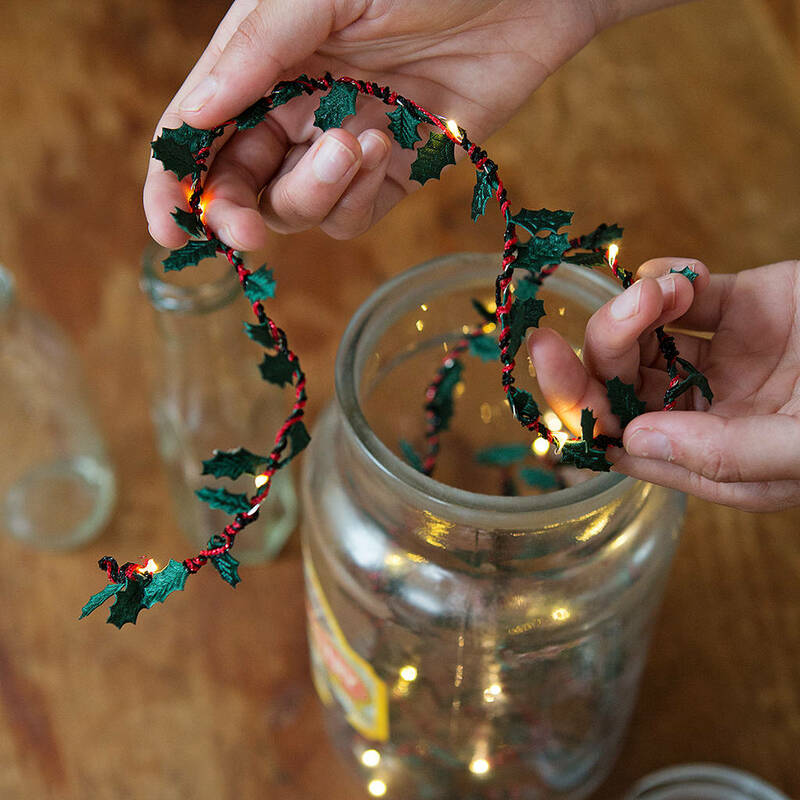 These hand spun holly light strings are a truly unique way to decorate. 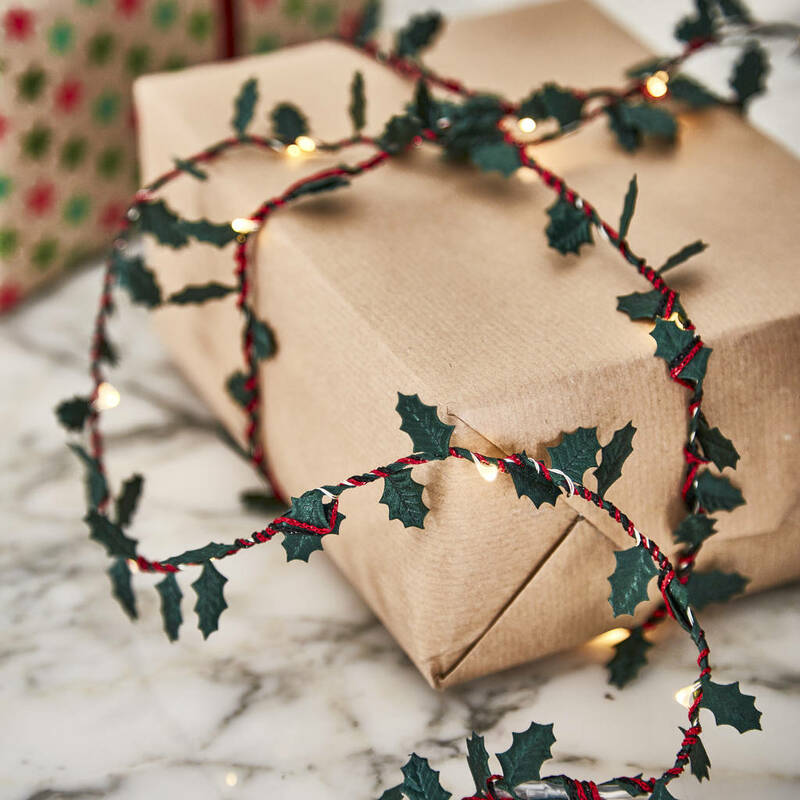 Ideal for christmas tables, around the home, or even for spectacular wrapping. Every string consists of 20 warm white micro LED lights, holly leaf trim and metallc black and red threads. 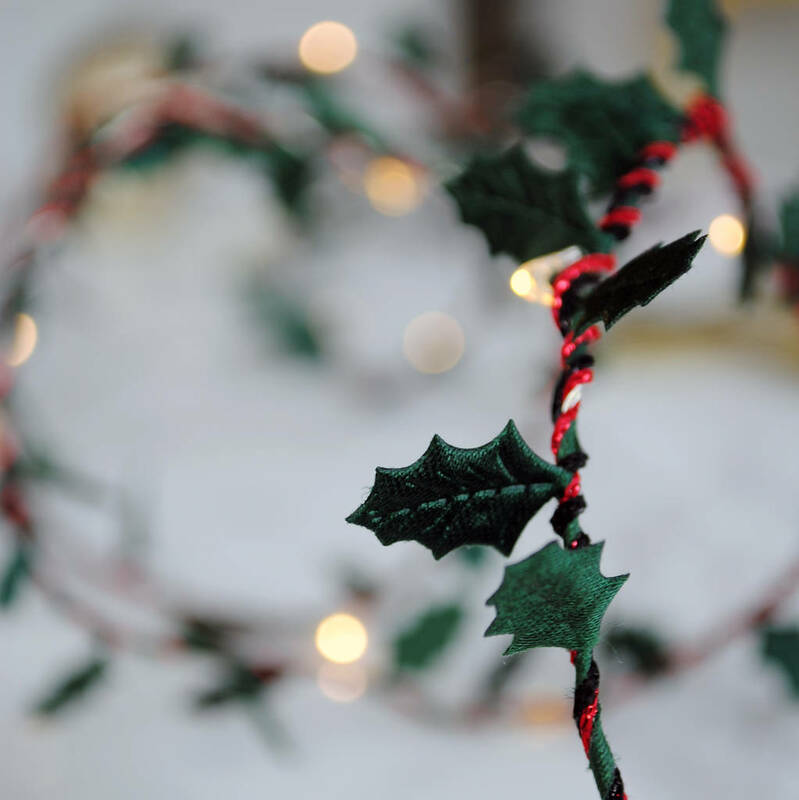 Our standard colour is green holly with metallic red and black threads, but if you wish to match a colour theme then all you need to do is ask. 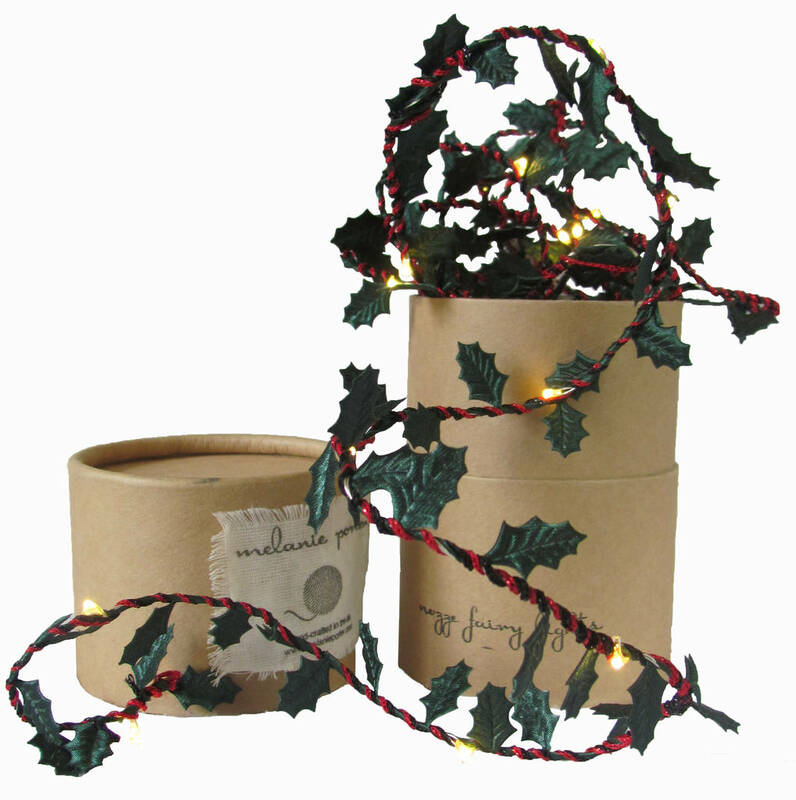 We also offer snowflake and gold, green and autumn leaf lights strings. LED lights with battery pack, green holly ribbon and metallic threads. Every sting of lights is individually spun on a tradiitional spinning wheel to give it our unique wrapped effect.